There is a cluster of planets in the sector of public domain, career and bosses. Your workplace will witness a lot of events. More work will come up from various sectors. You will have to use your creative and communicative skills. Those who work in arts, media, and entertainment sector will have a lot of opportunities. Your bosses can be very demanding. Appraisals and brainstorming sessions can also come up. Finances and emotional relationships are also going through a lot of transformations. You will have to make more money. Please try to find more money-making methods. Find a part-time job or new joint ventures. There is a mega influence for the sector for foreign travels, foreign relations, higher studies, teaching, publishing, spirituality, and philosophy. During this month, you may expect long distance travels and interactions with foreign countries. If you are planning to learn a new skill, this is a good time to start it. Career development plans and training sessions are also seen. Your spiritual side will be alive now and you will communicate more about spiritual subjects. Authors and writers will be active in search of new opportunities. Mars is moving through your partnership sector, so that also gives good opportunities to find good business partners. In marriage and love relationships, you have to be flexible. These days, your focus is on your finances and partnerships. There is a cluster of planets influencing your finance sector. You are looking more into saving money than spending. The expenses will be a high mode and you may have to wait for some time to see a change in it. Please look for more opportunities, like a part-time job or shared projects without any investments. You may give or take any financial support. Various financial matters may come into light. Your workplace, health, and relationship also matter, these days. Minor health concerns are seen. You are requested to take care of your health. Please take care of your conversations with your colleagues. There are chances for arguments. You may think about a change at work. For the last few days, the sector for partnerships and marriage is active. This sector is under the influence of a cluster of planets. You will have to be very careful with your partners. Let it be a personal or a professional relationship. This is not a great time to experiment with it. Better you deal everybody with patience. Mars is energizing the sector for entertainment, romance, kids, and creativity. You will try to promote yourself. Creative projects can also come up. This is not a great time to be forceful with your teammates. Be patient. You may revise your attitude regarding romantic relations. There is a lot of focus on health as a cluster of planets are moving through this sector. Please take medication and don’t wait for self-medication or home remedies. Your body needs some rest. Colleagues will be demanding, so make sure you are not wasting time on any verbal spats. Mars is still triggering the family sector. You will have problem-solving at home. Real estate deals, relocation and family meetings also will come up. Please be careful with your real estate deal and relocation plans. 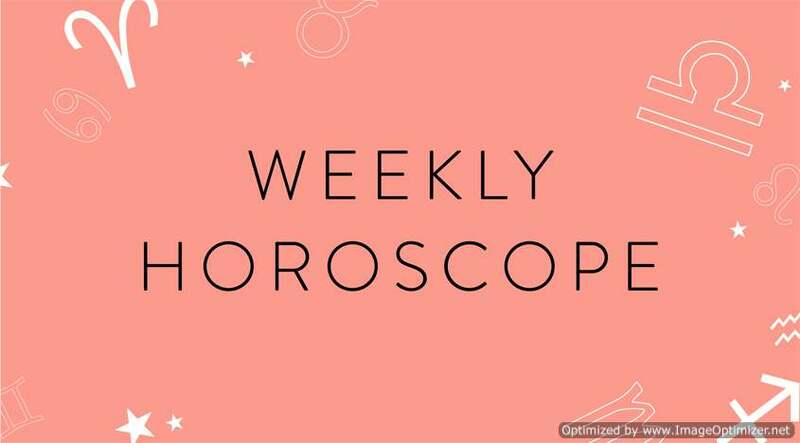 During this week, you will have a lot of focus on romance, entertainment, fun, children, youth groups, creativity, self-promotion and speculative businesses. This is a good time for you to think about own ventures. Please plan for an own venture. It can be a hobby too. Working with teams and youth groups will make you go an extra mile. Romance and entertainment are also seen. You may think twice about your love relation. You are actually very busy and multi-tasking. A lot of short travels and short projects may make you tired. Communicative projects and studies will also come up. Your siblings will share their concerns with you. Your family front is highly active with a cluster of planets. This is a crucial time for real estate deals. Plans for vacation and traveling from home are also seen. Family meetings and reunions are also possible. Problem-solving at home is also seen. Furnishing, repairing, and relocation are also possible. Mars is continuing in the sector for finances, self-worth, and family. You are looking for more projects to make your finances stable. Discussions with people from finance domain are also seen. You may try to update your skills. This is not a great time to argue with your family or colleagues. Please avoid frictions. The sector for short trips, short courses, training, siblings, media, technology, electronics, and writing is triggered by a cluster of planets. This is busy time and you may travel a lot. Teaching and training programs can also come up. You may work closely with media and use new technology. Usage of electronic devices will be more than before. Those who work with own skills will have a lot to plan. You will have a lot of communication and you will use different communication devices. Projects from writing, editing, and electronics are also seen. Mars is still triggering your personal life. Money matters are in focus now. You will have different ideas for money-making. Please save for the coming days. Career sector is also alive, and you will have important projects. Projects with writing and creative skills are seen. You will look for part-time ventures for financial growth. Mars is energizing the sector for emotional challenges, foreign settlements, psyche, isolation, seclusion, long distance travels and charity. These matters are also making you think a lot. You will like to be isolated. This is a good time for planning the future. Charity events and spiritual deeds are also seen. You will be witnessing a lot of changes within yourself. There will be more energy and you are being a multi-tasker. A cluster of planets are moving through the sector for your personal life. Various side of your personality is coming out. You are trying to improve your looks. Minor health issues also can come up. New beginnings and new people can come up. 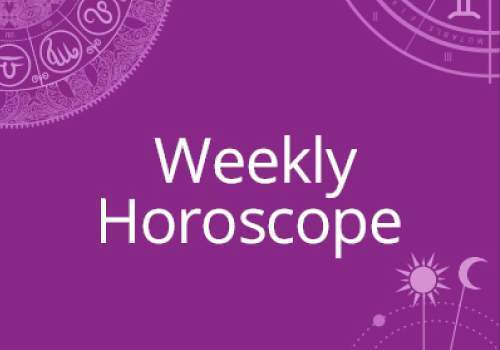 Mars is moving through the sector for long-term relations, group efforts, and friends. You may get into a new long-term project. This will add value to your life. New groups will influence you. Projects with scientific and technical communication can also come up. This is a very important time for your personal and professional life. Physical health and happiness are going through slight crisis. This will continue for few more days and you should take adequate medication. Please don’t wait for home remedies. Take enough rest and don’t add more burdens to the existing schedule. Please check your spiritual quotient. Give more time for your spiritual life. Read ancient texts, meditate and go for emotional healing. Mars is influencing the sector for career, colleagues and social status. You will have to go an extra mile to make your projects perfect and complete. It can be a challenge for you. New opportunities may come up. The sector for group activities, long-term partnerships, and your gains is influenced by a group of planets. There are chances for new friends. You may go to a new group. Activities with large groups are seen. You will get projects from scientific and technical communication. Charity activities are also seen. You will be taking part in group discussions and sharing your ideas. Your spiritual life and zeal for adventures are still under the influence of Mars. Long trips and interaction with an international community are seen. You will feel like being adventurous. Authors and writers will have new opportunities. You will study different philosophies. Previous story 6 photos of B-town divas that prove eyebrows change your look DRASTICALLY!